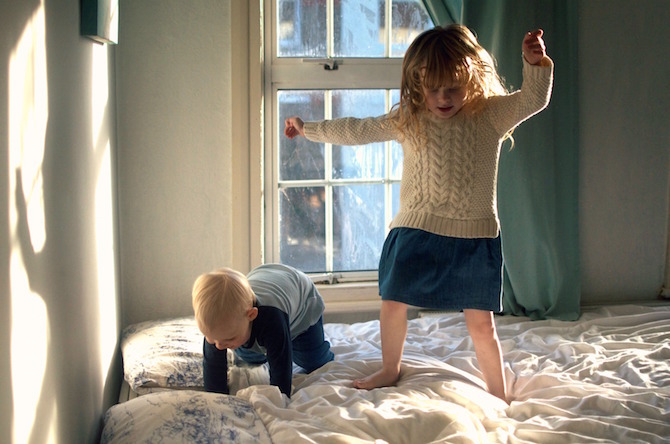 Sibling Rivalry- What I've learned from having 2 children! It all started when Thomas was born. You can see the video we took here. I always looked back and thought Alice's reaction was so cute. Now I see something different. I see her looking nervous. Unsure. And not wanting to really look at the baby, or talk about the new baby. She wanted me. I'd been in hospital having Thomas and she just wanted her mummy. I think that's where the sibling rivalry thing really started. We worked very hard to make sure Alice still felt really super important to us. Because... she is! And it was kind of hard. Because as much as I love Alice, I suddenly felt like I had to work on showing her that. As opposed to it just being natural. Because, there was another little baby who needed me, and who I loved. It all just felt... terribly unnatural to have to consciously think, "Is Alice getting enough attention?" or "am I spending too much time holding Thomas?" "Am I cuddling Alice enough?" It was a huge adjustment for all of us. For the first year, I felt a little overwhelmed. And by overwhelmed I mean... I had to constantly think about everything. nothing felt natural. Everything felt like work. And i worried, god I worried! I worried about Alice so much and I worried about Thomas so much, and I worried that I just couldn't be the mum I wanted to be for both of them. Like I was just... doing it all wrong. And then after about 11 months had passed, it all settled down. And i felt more, in control of things again. Alice and I got into a routine of spending time together doing things while Thomas napped. Thomas and I had lots of cuddles all night long as he didn't sleep through for about a year. And I suddenly realised, that it wasn't just me who needed to adjust. Because I had essentially just dropped an alien into her world and expected her to be fine with it! I guess I just thought that because they are brother and sister, they will like each other and get on with it. but it doesn't quite work like that. It's like, I have to teach them how to be together. And I have to teach Alice to play gently with him, to love him even when he pulls her hair and to look after him. Because he's not just an alien, he's her brother. And they need each other, more than they realise right now! Now that Thomas is walking and playing, they are a lot better together. We don't always get it right, and it's something Dave and I are always talking (bickering) about! Who spends more time with who. Who needs more attention. How do we distribute our time to everyone equally. But you know, it's a learning curve and I'm sure we'll figure it all out. How did you feel about going from one to two? 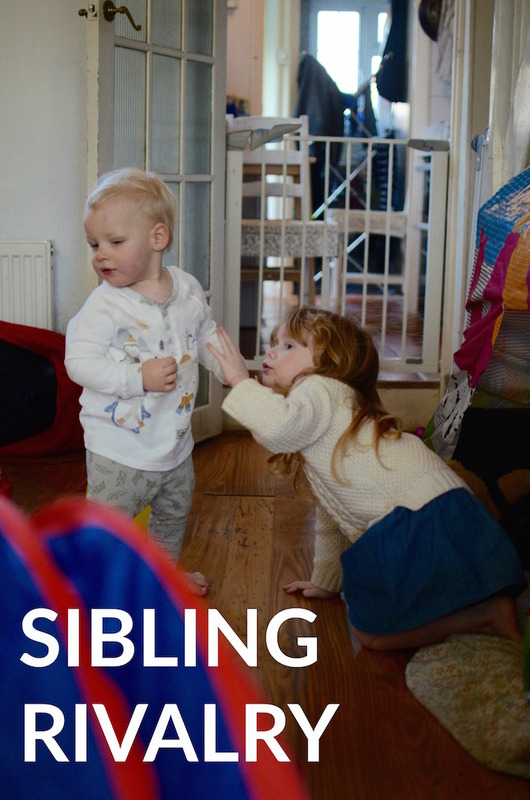 Any sibling rivalry stories? I just have the one child but we'd really like another at some point and these are all things that I think about. I wonder how my daughter will cope with the changes. How will I cope?! just been going through the same thing! nice to know we are not alone.